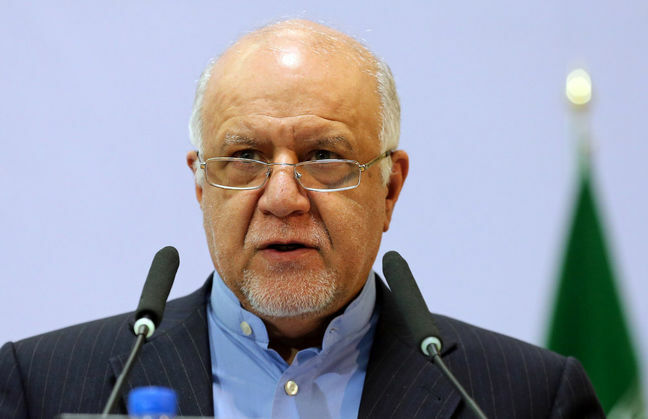 EghtesadOnline: Oil Minister Bijan Namdar Zanganeh is imposing four-year term limits on all top oil managers at state-run energy companies, with the rule taking effect in October. The new order applies to managing directors, board members, deputies and senior executives who have held the same post since Oct. 23, 2014, or earlier, Mehr News Agency reported, citing an Oil Ministry statement. The rule will affect the National Iranian Oil Company, National Iranian Gas Company, National Iranian Oil Refining & Distribution Company and National Petrochemical Company, Bloomberg reported. Zanganeh, who has served as ministers for about 27 years in four administrations, is holding the current post since past five years. The report did not mention whether the rule also applies to him, nor did it elaborate on the mechanism of filling the post vacated at the end of a tenure. The limits have been set, as the US prepares to reimpose sanctions on Iran beginning Nov. 4. US President Donald Trump, accusing the Persian Gulf country of financing terrorism, has withdrawn from a 2015 nuclear accord that lifted sanctions and wants to reduce Iran’s oil exports to zero from their current level of about 2.5 million barrels a day, Financial Tribune reported.